Two brilliant MAGIC MOLLY stories in one book. Molly loves animals and wants to be a vet when she grows up, just like her dad. As everyone says, she's got the magic touch! Can Molly help Sparkle, the lost witch's kitten, find his way home? And will Molly be able to reunite Star, the magical King Charles Spaniel with her twin sister before their magic fades for ever? 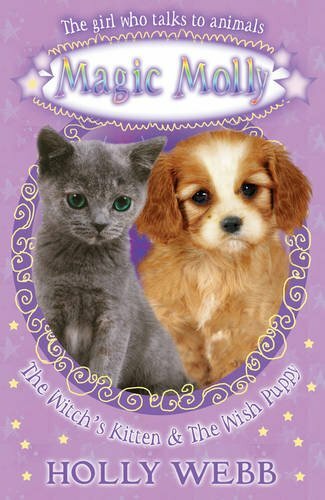 More MAGIC MOLLY titles available: THE WITCH'S KITTEN (9781407129112), THE WISH PUPPY (9781407129129), THE INVISIBLE BUNNY (9781407129136), THE SECRET PONY (9781407129143) and THE SHY PIGLET (9781407121673).